The ICI is part of the Center on Disability and Inclusion of the School of Education at Syracuse University. Our work and focus over the past 20 years reflects lines of research, training, and public dissemination that focus on school and community inclusion, narratives of disability and ability, and disability rights, as well as research and training on typing to communicate (also known as facilitated communication). The ICI’s initiatives stress the important relationship of communication to inclusion. The ICI has distinguished itself as a national and international leader in typing to communicate training and research, which has taken form not only in scholarly publications and books, but also through other mediums such as film, including the Academy Award® nominated short documentary “Autism is a World,” “Wretches & Jabberers and Stories from the Road,” and other nationally syndicated films. Not being able to speak is not the same as not having anything to say; the ICI adopts a “presuming competence” approach to all individuals with whom it works. Individuals with disabilities can inform communication practice and research. The goal of typing to communicate and other forms of augmentative and alternative communication is independent expression, controlled by the person with a disability; professional and lay supports for communication training require careful attention to quality technique to maximize the opportunity for achieving independence. People with disabilities have a right to participate fully in mainstream society and to have communication that is heard, acknowledged, accepted, and valued. When one intervention strategy does not produce the hoped for results, it is not appropriate to blame the individual; it is incumbent upon the researcher or professional to seek other ways of accomplishing success. 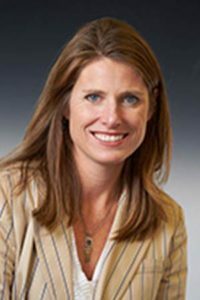 Christy Ashby is Associate Professor of Inclusive Education and Disability Studies at Syracuse University and the Director of the Institute on Communication and Inclusion. 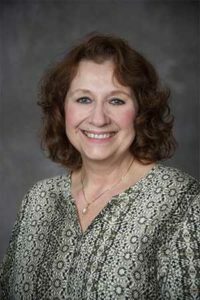 Her teaching and research focuses on inclusive education, with specific emphasis on communication and support for students with labels of autism and other developmental disabilities, disability studies and inclusive teacher preparation. 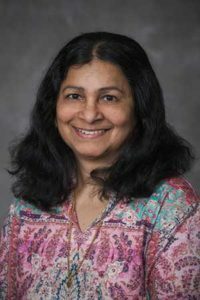 She has recent publications in Disability & Society, Teacher Education and Special Education, International Journal of Inclusive Education, Journal of Post-Secondary Education and Disability, Research and Practice for Persons with Severe Handicaps (RSPD) and Intellectual and Developmental Disabilities. Ashby’s recent book,co-edited with Meghan Cosier, illustrates the ways that disability studies in education can inform the practical work of teaching. Brianna Dickens is a third year doctoral student in Special Education with a focus in Disability Studies. This is Brianna’s third year working for the ICI as a graduate assistant. 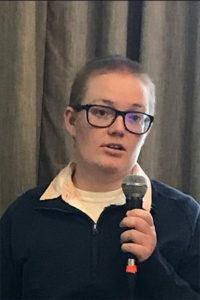 Brianna’s scholarship focuses on self advocacy, school and community inclusion for diverse communicators and different ways of being, and diversifying qualitative methodologies to be more inclusive and accurate for researchers and participants with disabilities. 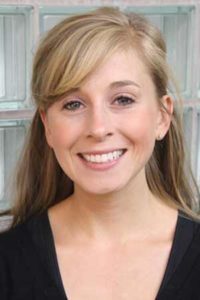 Brianna is dedicated to using her own experiences and positionalities to advocate for more inclusive and holistic research, educational, and community practices. Sheree is the parent of a son who has autism and uses supported communication with various communication devices. She gained experience in the area of special education from the parent perspective, collaborating with the Special Education Department of Westhill High School as the District Surrogate Parent and Parent Representative, and organized the special education parent support group, SNAPS. Because of her son’s success due in large part to a full inclusive education, they have had opportunities to speak about his experiences at conferences in England, Wales, and Germany, and throughout the United States about how inclusion, with the appropriate supports, can enable a student to move beyond the barriers that come with the diagnosis of autism and apraxia, and how important the parent’s role is as an advocate in the successful support of a son or daughter with a disability. Sheree is a Trainer for the ICI and coordinates the ICI Saturday Series for typers. 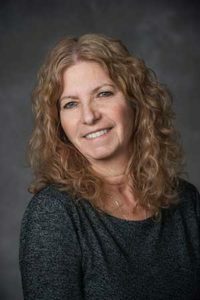 She is a current Board member of Central New York Autism Society of America and is on the Advisory Board for the Hussman Institute for Autism. She lives in Syracuse, NY, with her husband Mike, and their 3 sons. Srilata has worked as a Trainer at the ICI for the past 6 years, providing training in typing to communicate to individuals who have very complex communication needs and have intellectual and developmental disabilities labels, including autism. She helps in training through workshops, families and support persons of the typers, to be facilitators, to access communication supports. She came to the United States looking for inclusive education for her son, Sujit Kurup, who has autism. She lives in East Syracuse with her husband Soma Kurup and son, Sujit. She also has a daughter, Susmita Kurup, who currently is in Seattle employed with Microsoft Corporation. Dani is the Office Coordinator for the ICI. She enjoys working with the ICI staff as well as assisting the individuals who use supported typing in the office. She has been at the University for 17 years. Dani is also the Office Coordinator for the Taishoff Center for Inclusive Higher Education at Syracuse University. The staff there is committed to individualized and inclusive higher educational opportunities for students with intellectual and developmental disabilities. She works with their staff and the students they support. She lives with her husband in Cicero and she has a son and daughter who graduated from the University. Casey is an Assistant Professor of Special Education in the Department of Interdisciplinary and Inclusive Education at Rowan University. She earned her Ph.D. in Inclusive Special Education at Syracuse University, where she also completed a Master’s in Cultural Foundations of Education and a Certificate of Advanced Study in Disability Studies. She is a former research assistant at the ICI and still works closely with the Institute as a member of the research team. Casey’s academic, professional and personal interests are grounded in commitments to communication and inclusion as interrelated imperatives. Her work explores the nuances of communication support partnerships, inclusive educational practice, and relational qualitative methods by telling stories of/through lived experiences at the intersections of educational practice, communicative diversity, interdependence and neurodiverse ways of being. In addition to establishing reliable and sustainable support systems for communication and inclusion, she aims to counter the socially constructed notions of competence and voice, guided by the perspectives of individuals with disabilities as critical agents of advocacy and change.